Tesla Motors delivered on CEO Elon Musk's promise to make money during its latest quarter after fulfilling his pledge to boost production of its first electric car designed for the mass market. The Palo Alto-based company earned $311.5 million during the three months ending in September, swinging from a loss of $619 million at the same time last year. It's only the third time that Tesla has posted a quarterly profit in its eight-year history as a public company and the first time in two years. A big jump in Tesla's output of its mass-market Model 3 car powered the breakthrough. The manufacturing increase and moneymaking quarter are two things that Musk promised would happen in early August. Revenue more than doubled from last year to $6.8 billion to easily top analyst estimates, just as the profit did. Tesla's stock soared 13 percent to $326.12 after the numbers came out. The third-quarter performance should help restore some of the credibility that Musk lost after he followed up the bold performance with a startling tweet informing the world that he had secured financing to pull off a buyout of Tesla. Musk later abandoned his plan and the Securities and Exchange Commission subsequently filed a lawsuit alleging that he had misled investors because he was never close to lining up the estimated $25 billion to $50 billion that it would have taken to pull of the deal he envisioned. After initially denying the SEC's accusations, Musk and Tesla agreed to pay a combined $40 million fine to resolve the case without acknowledging or denying wrongdoing. Musk also must step down as Tesla's chairman for at least three years as part of the settlement, though he can remain as CEO of the company that has become synonymous with him. Making money is something Tesla needs to do to stay afloat because it has taken on more than $10 billion in debt as Musk has pursued his ambition to create a viable automaker that makes cars running on something besides gasoline. About $1.3 billion of that debt comes due by March, intensifying the pressure on Musk to stop the steady losses. Meanwhile, Ford Motor Co. reported a net profit decline of 37 percent in the third quarter as sales slowed in the U.S. and China. Investors have been calling on Ford to detail a promised $11 billion worth of cuts that were promised during the next five years as the company tries to right-size itself to better compete globally. For Tesla, turning a profit was not its only notable achievement in the third quarter; it also stopped burning through its cash. The company generated positive cash flow of $1.4 billion in the third quarter, compared to a negative $301 million at the same time last year. Despite the strong showing, doubts will still hang over Tesla until Musk can prove that the company can consistently make money and realize its production goals. 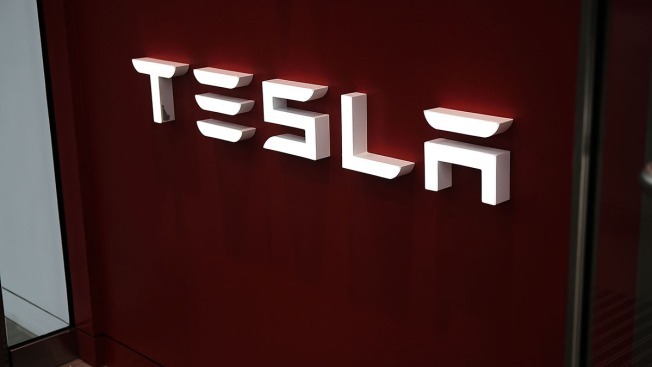 "The results will boost Tesla's stock price, at least for a while, but investors will examine the results to (see) if they are sustainable or another rabbit Musk has pulled out of a hat using extreme measures that won't work as the company tries to grow," predicted Erik Gordon, a business professor at the University of Michigan. But at least one-time Tesla skeptic converted into a believer, even before the company released its results. Citron Research, which had bet against Tesla stock for years, wrote in a note posted on its website that the company is destroying the competition. It produced charts showing that the mass-market Model 3 was the top-selling U.S. luxury car during the first half of the year, more than doubling its closest competitor, the Mercedes C Class. It also maintained Tesla is siphoning sales from Toyota and Honda, too. "As much as you can't believe you are reading this, we can't believe we are writing this," Citron wrote.